The East Bay Area is a place rich in diversity, culture and natural beauty. While Berkeley and Oakland act as the regional epicenter of East Bay life, the East Bay is full of a number of communities each with their own charm, landmarks and cultural attractions. To really discover what the East Bay has to offer one should look no farther than Hayward. 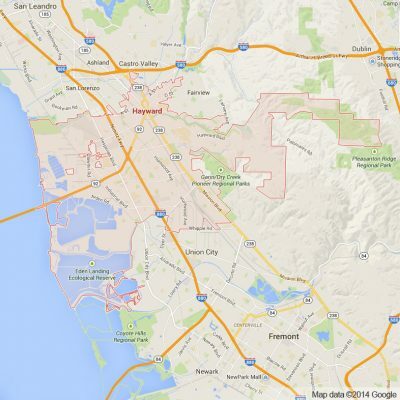 Considered the Heart of the Bay Area due to its central location and proximity to San Francisco, Oakland, Berkeley as well as Silicon Valley, Hayward’s centrality is not limited to it’s geographic location. Downtown Hayward is a historic district which is home to the Hayward Historical Society Museum, Buffalo Bill’s Brewery, Cinema Place and a number of incredible murals. This downtown district is complimented by a number of other historic landmarks located elsewhere in Hayward. These include but are not limited to the Green Shutter Hotel and Eden Congregational Church as well as Agapius Honcharenko’s Ukraina Ranch. These sites alongside a downtown area that hosts a number of must visit bars, restaurants and shops makes Hayward a unique and historically intriguing destination. These historical landmarks allow any visitor to really see the story of the evolution of the East Bay and greater Bay Area more generally. 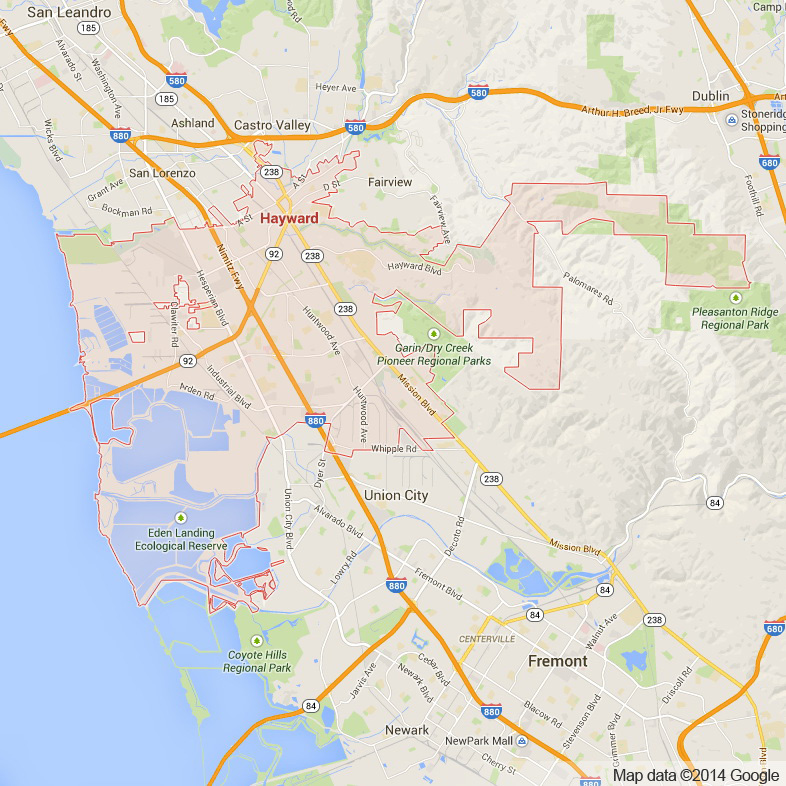 Like other Bay Area cities Hayward boasts a large number of parks and recreation areas. The Don Castro Regional Recreation Area, the Dry Creek Pioneer Regional Park, the Hayward Regional Shoreline, Garin Regional Park and the Eden Landing Ecological Reserve. Hayward’s Japanese Gardens is the oldest Japanese garden in the entire state of California and home to a wide range of beautiful Japanese flora. Because Hayward is home to the largest network of parks in the state of California it is a must visit for those who appreciate the outdoors and the natural landscape of the East Bay. For residents and visitors of Hayward alike, Apex Limousine and Sedan Transportation is proud to offer all of our comprehensive services. We specialize in wedding limousines junior prom and senior balls, and Bay Area sedan and SUV airport transportation. Our professional and luxurious limo transportation services consistently ensure timeliness and luxury as much as safety. For those planning a wedding in or around Hayward, at Apex limousines we work directly with wedding planners and couples to ensure that our services match exactly what you are looking for. For senior balls and junior proms we ensure to support both a festive and safe environment thereby making us a favorite limousine service with parents and students alike. For those in need of reliable airport transportation we also offer our limo, sedan and SUV transportation services for pick ups and drop offs to any major Bay Area airport – SFO, OAK or SJC. If you’re looking to get away from Hayward for a day we also are proud to be the Bay Area’s number one provider in Napa Valley Wine Tours. Our limousine drivers use their incredible knowledge of Northern California’s historic region to ensure that you explore the finest wines, restaurants and natural beauty that the Napa Valley has to offer. At Apex Transportation we aim to do something different. While other luxury transportation companies offer basic services our limo drivers and vehicles work hard to go above and beyond normal luxury transportation. We promise that when using Apexlimousines that every single moment you sit in one of our vehicles will be an experience you will never forget. Contact Apex now to plan your next get away and together we can make your dreams come true one ride at a time. Please call us for car service all inclusive total for Hayward to/from Napa Valley transfer.